SUPers paddle during a past Paddle Second Chance. In the last six years, PSC has raised more than $140,000 for Operation Second Chance (OSC), a non-profit organization dedicated to serving wounded veterans and their families as they recover and transition back to active duty or civilian life. Endorsed by Charity Navigator with a 4-star rating, nearly 90 percent of the funds raised directly impact the lives of veterans, including more than 39 families and 66 children currently participating in OSC from the Delmar, Del., area. “These war heroes face tremendous challenges and have long-term needs. Their scars are both visible and invisible. They suffer physical, psychological, emotional and financial hardships. OSC helps wounded veterans move on with compassion, dignity and love,” organizers said. The volunteer-driven Delmar chapter builds relationships with families to identify critical needs and help them achieve self-sufficiency. They offer a variety of services and resources, including educational support, job training, employment opportunities, couples/family counseling; and workshops on resume writing, interviewing and managing finances. Beverly P. said she understands firsthand the struggles of being a mother and a fulltime caregiver. Her husband returned from Afghanistan in 2008 with a traumatic brain injury and severe post-traumatic stress disorder (PTSD). Race day on June 23 begins with registration at 8:30 a.m. and ends with an awards ceremony and community picnic for all those in attendance. In case of inclement weather or unsafe water conditions, the rain date will be Sunday, June 24. 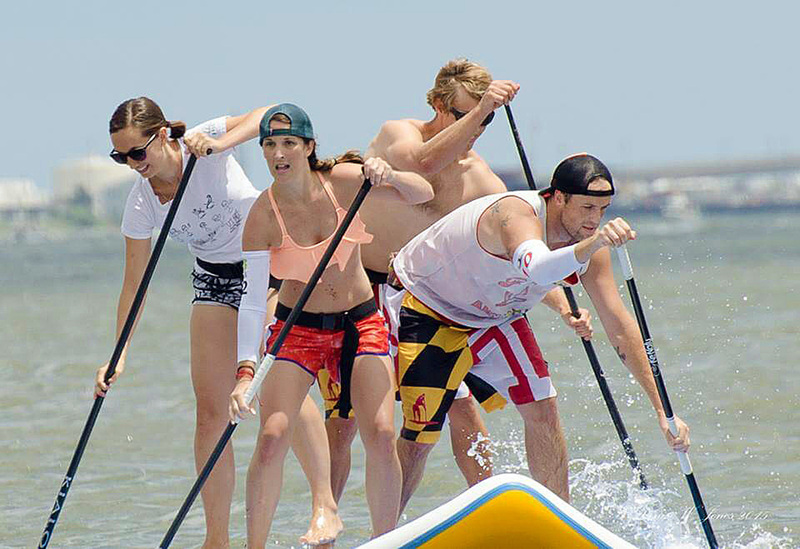 Racers will have the opportunity to compete in the Elite (5.0 miles), Open (2.5 miles) or Sprint (1.0 mile) races for SUP, kayak and surf-ski. More than $5,000 in cash and gifts will be awarded to the top three performing athletes in each division and board class. Each division and board class must have at least five registered participants to qualify for awards. Early registration is officially open and those who register before May 30 pay $60, saving $10 over registration from June 1 to race day, which is $70. Participants raising more than $250 will have their registration fees credited back, and they are eligible for a prize drawing. The top racer or group fundraiser will receive a special award. For sponsorship information and paddler registration, visit www.operationsecondchance.org/psc.php.